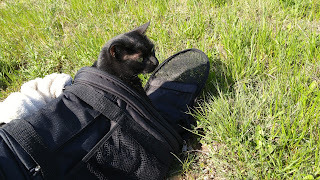 After a nice walk outside attached to her side she let me out on the grass to explore and be a curious cat. 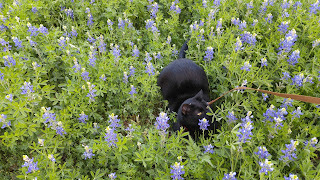 I do like being a curious cat and what better place to go to at this time of year than the bluebonnets. 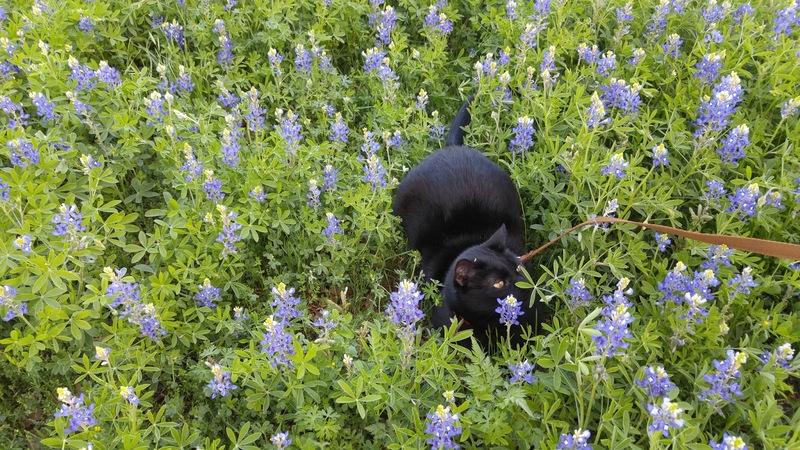 The rain has been great this year which means the bluebonnets are purrrRRRrrrfect for clawing around in. After a trial of the new bag and a walk in the bluebonnets it was time for our lake adventure. 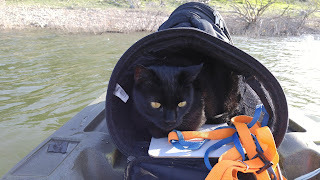 The new bag and I got a trip on the kayak toy. Any season where I get to be outside in the fresh air and with the people. Thank you Pet Parade for letting me join your party. Oh, how wonderful to be able to join a new Blog Hop. 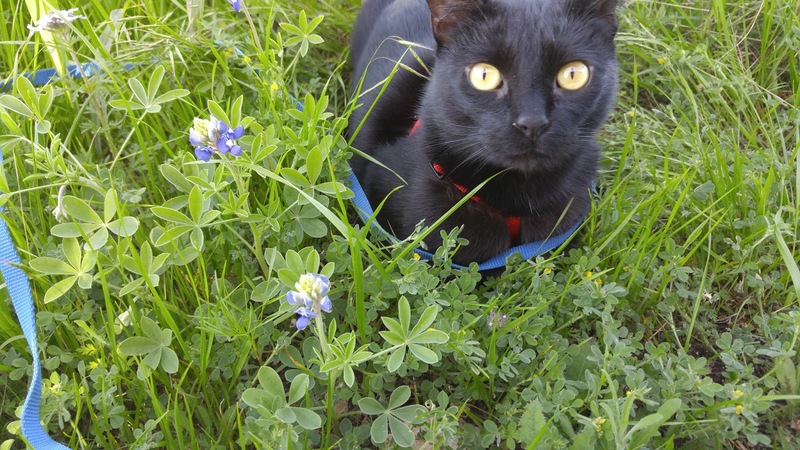 You look beautmous in those Blue Bonnets, Shadow!! We used to have lots of those when we lived in Texas, but they don't have them at all here in California!! Oh, how neat. We want one. Let's see, would we all fit in one or should we make Jan buy 5 so we can all be comfortable? 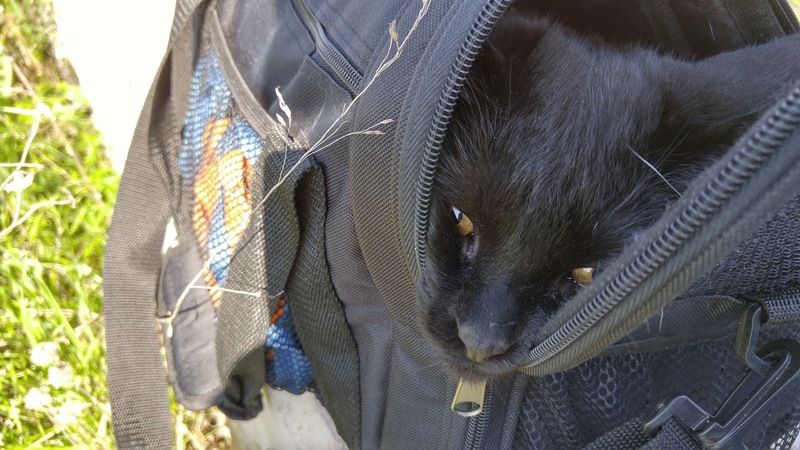 You have the best adventures, Shadow. I'm totally jealous of you Shadow! I wish mom would get one of those for me!! That looks like a wonderful adventure. I love the bluebonnets. Nice bag and wonderful outing, Shadow!